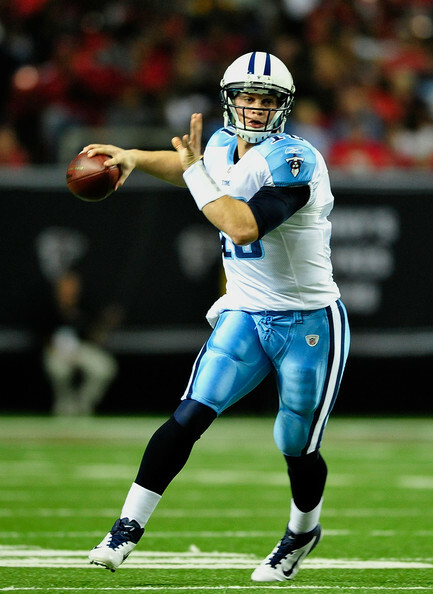 Recently, it was announced that Jake Locker will be the starter in Tennessee for opening night against the New England Patriots. Is anyone really surprised though? Sure, Matt Hasselbeck has been in the League since 1999, but Jake Locker was a first-round draft pick. When a quarterback is selected in the first-round, they are expected to start within two years of being drafted. It’s the way it is. Hasselbeck can still play, but he is far past his prime at the ripe age of 36. Plus, Locker is 24-years-old and oozing with talent. Then there is the newly formed quarterback controversy in the nation’s capital. Kirk Cousins thoroughly outplayed fellow rookie and teammate Robert Griffin III on Saturday night. By no means does this mean Cousins will start over the reigning Heisman Trophy winner. That thought should not even be brought up. It does mean that RGIII will be pushing even harder to realize his potential as opening night creeps closer, and it means that the Redskins have some trade bait or a sure-fire backup if RGIII suffers any sort of injury. HBO’s Hard Knocks has made a few things blatantly obvious to the general public regarding the Miami Dolphins. Chad Johnson has been shown the door, Joe Philbin is a no-nonsense type of guy, and Ryan Tannehill’s wife Lauren is smoking. That is besides the point though. With David Garrard sidelined by injury, Tannehill has to be the guy (Philbin officially made the announcement yesterday). Though Matt Moore is extremely likable and has some experience, Miami would be hard-pressed to start him over their first-round draft pick. Tannehill has looked poised and is outperforming Moore in every sense of the word thus far. Neither player has looked great, but with Tannehill’s hefty salary and current play, the starting job is rightfully his to lose. Matt Flynn continues to start, but Russell Wilson keeps outperforming his teammate. Though to Flynn’s defense, TO’s drop on a made to order 46-yard “would have been” touchdown pass really hurt. Until Wilson sees time with and against the first teams though, people need to take his current production with a grain of salt. Flynn will be the starter until further notice, though his lease has tightened an awful lot over the past couple of weeks. The saying is that the third time is the charm. And for LeBron James, 2012 was most definitely a charmed year that culminated in his third Olympics appearance. Murmurs are circulating whether the “King” will head to Rio in 2016. Why not? If LeBron is still healthy, he will be 31-year-old. One more Olympics and a chance to capture a third gold medal wouldn’t be such a bad thing. Remember, Michael Jordan only brought home two gold medals. It is no secret that the Wisconsin football program is one of the best in all the land. Recently though, they have become a ACC haven for quarterbacks looking to have one last collegiate hurrah. In 2011, it was Russell Wilson, who had a great year in Madison that put him in position to be fighting for the starting job with the Seattle Seahawks in the present (as stated above). Now it is Danny O’Brien making the move to Wisconsin. After taking home ACC Rookie of the Year honors in 2010, O’Brien was benched by Randy Edsall in 2011 as Maryland limped their way to a pathetic 2 and 10 record. O’Brien’s talent has not been lost on Wisconsin coach Bret Bielema though, who has given the transfer the starting job. The message is quite simple. If you are a talented quarterback lacking satisfaction in the ACC, head to Camp Randall. Shawn Merriman was once one of the most feared linebackers on the planet. Long before becoming an NFL star, Merriman punished opponents while playing at Frederick Douglass High School in Maryland. He once knocked out four players on the opposing team during the first half of a game resulting in the infamous nickname “Lights Out.” It is no secret that Merriman has fallen on hard times due to steroid usage, injuries, and legal troubles. During his first three seasons in the NFL, Merriman posted a ludicrous 39.5 sacks and was known as one of the elite players in the NFL. In the past four seasons, he has appeared in just 23 games and posted six sacks. Yesterday, the hard times appeared to hit rock bottom when the Bills shocked many, including Merriman himself, and cut the former star linebacker. Apparently the one that was once called “Lights Out” really has had the lights turned out for the time being. This entry was posted in Miscellaneous and tagged ACC, Bret Bielema, Buffalo Bills, Chad Johnson, Danny O'Brien, David Garrard, Heisman Trophy, Jake Locker, Joe Philbin, Kirk Cousins, Lebron James, Maryland Terrapins, Matt Flynn, Matt Hasselbeck, Matt Moore, Miami Dolphins, Michael Jordan, New England Patriots, NFL, Randy Edsall, Robert Griffin III, Russell Wilson, Ryan Tannehill, Seattle Seahawks, Shawn Merriman, Tennessee Titans, Terrell Owens, Washington Redskins, Wisconsin Badgers. Bookmark the permalink.